Yes, it is that time again, time for us to celebrate the innovation and ingenuity that surrounds us within our industry by publishing the #FSN20 - our list of those we think are truly driving field service forward. Although, this year you may notice that we have taken a slightly different tack to previous years. In the past editions of the #FSN20 we had included solution providers, academics, analysts, consultants and industry practitioners and the list was a reflection of those who were the key influencers within the sector. However, this time around you will see that we have only included the practitioners. Well I’m glad you asked! There are two key reasons behind this shift in approach. Firstly, we found that there were simply so many examples of excellent work being done within our sector by the industry practitioners that even whittling the list down to 20 would have been (and most certainly was in fact) a major challenge. As it is, some really great service leaders, unfortunately, didn’t quite make the final cut and that would have been an even higher number if we had remained with the broader church we have used in previous iterations of the list. Secondly, we figured that if we were to single out and focus our attention on one specific group, then it had to absolutely be the industry practitioners - who are often unsung heroes outside of there organisations - and sometimes even within them. "Find them on social media, read articles they may have written and if you see their names on the speaking list at a conference get yourself there to listen to them..."
Yes, there are some truly excellent minds amongst the solution providers, academics and consultants but the fact of the matter is that the majority of names of those at the vanguard of driving our sector forward will already be familiar to our regular Field Service News readers as we make it our business to talk to and offer a platform to those who we believe are bringing something of value to the discussion. However, there now may be some names in this year’s list that are less familiar to you and if that is the case I strongly urge you to look these folks up! Find them on social media, read articles they may have written and if you see their names on the speaking list at a conference get yourself there to listen to them - because each member of the 2018 edition of the #FSN20 has shown excellent leadership, an intimate knowledge of how to deliver service excellence and a willingness to think outside of the box in terms of how to drive revenue whilst creating ever greater levels of customer satisfaction. We are undoubtedly entering a new era of technology, automation and innovation, but in a world of rapid industrial evolution how will regulations also adapt? It is impossible to escape from the fact that technology, and increasingly artificial intelligence (AI), has transformed everyday life. It all started with how we play our music, but Apple's Siri and Amazon's Alexa (along with other similar "virtual assistants") now have a daily interface with many of us. We are also, increasingly, now daily users of the Internet of Things (IoT) – connecting up smart fridges, boilers and alarm systems, each controllable from a smartphone. The "everyday" form of AI is almost unavoidable in the modern home, but, while not necessarily as obvious to you and me, there is also an ongoing, yet unseen growth in AI in the manufacturing sector. What is still lacking, however, is concrete regulation in place for the use and development of AI in the industry. This article looks at where AI regulation might be implemented and, specifically, what impact both AI has, and its regulation would have, on the manufacturing industry and what role the UK might have in this ever-changing sector. What is "Industry 4.0" and how is AI related? The term "Industry 4.0" is not a new one. It relates back to discussions in 2012 of a forthcoming "Fourth Industrial Revolution", the idea being that the current trend of automation would increase, with technology enabling "smart factories". These factories take existing automated assembly line structures and include a cyber element, allowing for the underlying manufacturing machinery to communicate with one another and with the wider factory system as a whole via an IoT setup – increasing efficiency. The whole process is, and would still be, overseen by a human element, who the machines can also communicate with. But one of the main goals of Industry 4.0 is to have the machines operating in a decentralised way and with as much autonomy as possible save only where exceptions, interferences or conflicting goals require additional input. How is AI being used currently? "So far, so sci-fi" you might think, but Industry 4.0 is alive across our manufacturing industry and there are already plenty of examples of manufacturers using this kind of technology across the sector. Developments are being pioneered by high-end technology companies such as Tesla, Intel and Microsoft on an international scale, some through mere investment or others through actual manufacturing and application. Siemens has been using neural networks for a number of years in monitoring the efficiencies of their steel plants. Siemens is now using this prior experience to make waves in the manufacturing AI sector, using AI to monitor variables (e.g. temperature) on their gas turbines which then adjusts the operation of the machine for increased efficiency and without unwanted by-products. Others use system masters to spot potential problems and possible solutions, often before a human operator would notice such issues. The use of this technology has resulted in positive improvements across their smart factories, reducing maintenance costs, as AI can now detect wear on machinery long before it becomes unmanageable. In the UK, The Manufacturer's Annual Manufacturing Report 2018 conducted a survey on the possibility of a more widespread use of "smart factories" - 92% of senior manufacturing executives believe that digital technologies (including AI) will enable them to increase productivity levels. Yet, the UK is generally seen as "lagging behind" many other developed countries when it comes to implementing AI in the manufacturing sector. Is this an example of the UK "traditional mindset"? With estimates on global turnover of the "smart manufacturing" market soaring to a projected $320bn by 2020 – let's hope not! Despite technology advancing at a rapid pace, regulation of AI is yet to emerge. Whilst some commentators have theorised a Skynet-style AI uprising if the sector remains as unregulated as it is today, the UK government has provided a more pragmatic voice. According to the House of Lords Select Committee's report on AI, the UK "is in a strong position to be a world leader in the development of artificial intelligence" and with this comes some required element of regulation. The report "AI in the UK: Ready, Willing and Able?" makes several recommendations as to how the law may need to be updated to account for these new technologies, but also states that "blanket AI-specific regulation, at this stage, would be inappropriate". The Lords instead believe that a sector-specific approach should be taken, with three new governmental organisations (the Centre for Data Ethics and Innovation (CDEI), the AI Council and the Government Office for AI) each taking a lead role in developing regulatory policy going forwards. For the manufacturing sector, this is expected to cover a number of areas. A key area of focus is likely to be the availability of data access. AI systems are notoriously expensive and this could clearly impact on the revenues of SMEs struggling to compete financially with international corporations if they were to be further bolstered by AI. A possible solution suggested by the Lords is to implement an "Open Banking" style model where some data can be made public in order to make the sector, as a whole, more competitive. Terminator references aside, safety is also one of the primary concerns in this new technology. The current law is a long way from Asimov's "Three Laws of Robotics" and currently fails to address liability issues if, for example, a worker was to be injured by a machine malfunction. As with all policy issues at the moment, the spectre of Brexit looms large and is specifically referred to in the Lords' report as an area of concern since many of the UK's AI initiatives are run jointly with EU counterparts. Finally, aside from direct regulation, businesses across the sector must prepare themselves for potential changes in personnel. Much has been made of how AI will "cost jobs" but the reality is that work in this field is expected to create as many as are lost. It will be more a matter of retraining current staff to deal with the new equipment, and each business will have to assess how much of an impact this will have on their own operation. The use of AI in manufacturing will inevitably increase over the short-to-medium term before becoming the "norm" and with an encouraging approach taken by the Lords, aligned with UK Government – who are committed to regulation "that promotes innovation and the growth of new sectors while protecting citizens and the environment", it is likely that we can expect domestic investment in AI as well as the inevitable international investment. As with all rapidly growing technologies, the focus should be on sustainable regulation (such as the recent developments in UK law on the use of drones). However, while the regulatory forecast is still uncertain, what is becoming clear is a real sense of opportunity. 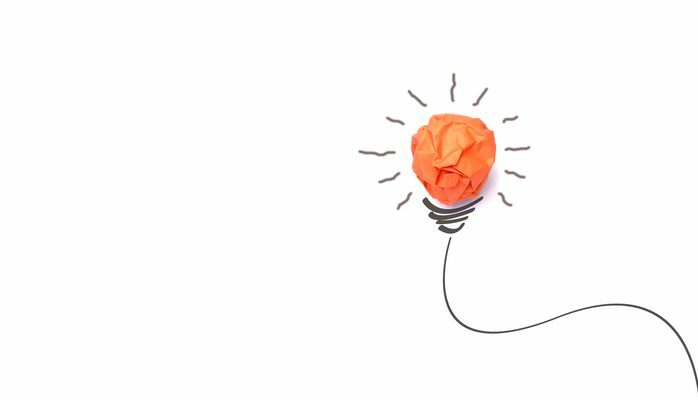 for the smaller UK SMEs and start-ups out there – dream big! With the AI sector in such an early stage of development and with many larger corporations lacking the technological know-how (for the time being) to trail-blaze the industry, UK start-ups, with the technological background, have the opportunity to partner or contract with large industrials and have their say on what the future of the manufacturing sector looks like. Womble Bond Dickinson takes a sector-based approach in all work that we do for our clients and are particularly strong in both manufacturing and technology. If you have any comments or queries in relation to this article, AI in general, or questions about how we can help your business grow and embrace this new landscape, please get in touch. We have seen a seismic shift within the field service sector towards adopting a more proactive approach to service - but is this a mega trend in itself or is it indicative of an even bigger shift in the way we view service delivery? Within our industry we are currently seeing a seismic shift - that is the move towards predictive maintenance and whilst the traditional modus operandi of field service operations of a break-fix approach will likely still have a place within most service organisations processes for the foreseeable future, predictive maintenance, empowered by the Internet of Things, is becoming a massively prevalent discussion amongst companies in all sectors who are looking to seek enhanced competitive advantages over their peers whilst simultaneously improving their own performance efficiencies. 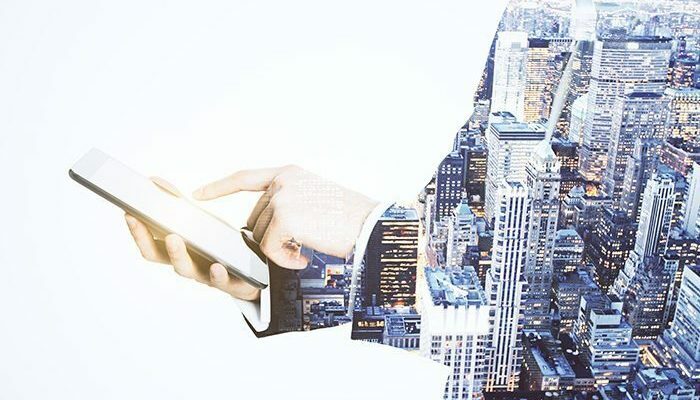 One company who have such developments on their roadmap is Daikin Applied UK who recently joined Field Service News and Salesforce for an exclusive webcast discussion on how service organisations are harnessing technology to bridge the gap between the mobile workforce and their customer bases. Indeed, it is a topic that we have covered extensively here at Field Service News, but is this shift to preventative maintenance set to be a megatrend within our industry, as many are predicting, or is it suited to specific industries and certain organisations within those industries? "Even within sub-sectors within manufacturing, we are seeing companies have different results and taking different approaches..."
“I think it is absolutely going to be a mega-trend,” commented Scott Flatman, Regional Sales Director, Salesforce during the session. “It is going to be a real competitive differentiator for companies that want to go the extra mile and stay ahead of the competition,” he adds. “For us, this capability of connecting our products to our customers and to our business is really important, but it is not a one size fits all solution,” adds John McCarthy, CRM manager, Daikin Applied UK. Of course, it is this ability to tailor a service solution to customer requirements that is a critical part of the discussion not only around predictive maintenance but also service delivery in general in today’s markets, which are becoming increasingly customer-centric. 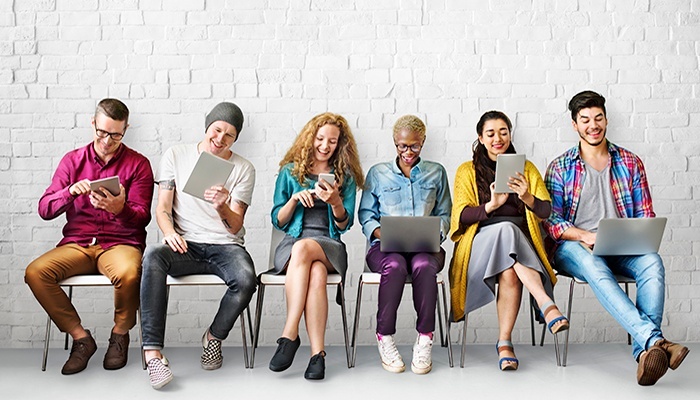 But is there a direct correlation between asset connectivity and increased customer engagements and satisfaction? "We understand that our technicians and engineers are the front line and the face of our business. So we put a lot of time and effort into ensuring they have the tools and resources that they need..."
“There certainly is,” McCarthy responds when this question is put to him. “Ultimately this technology doesn’t take away from the fact that we have highly skilled factory trained engineers, but it certainly enhances it,” he adds. “I think it is also changing the expectations of the customers,” comments Flatman. This is perhaps the true mega-trend that preventative maintenance is part of the shift away from a number of businesses operating only alongside each other in a transactional way, to organisations becoming much more integrated partners within a true business ecosystem. Indeed, this concept is at the heart of what many in the sector are now calling advanced services, which can yield greater profit margins in a much more stable business environment and predictive maintenance is set to become a cornerstone of such approaches to service in the not so distant future. Across recent weeks here on fieldservicenews.com we've published a series of features analysing an exclusive research project run in partnership with Si2 Partners, WorkAmmo and Service People Matters. Previously we reflected on Si2 Partners founding partner Nick Frank's initial commentary on some of the headline findings of the research which were first aired in a recent episode of the Field Service Podcast. So, to begin let’s explore what the key characteristics field service organisations are looking for when recruiting new service managers. We asked our survey respondents “What are the key attributes you look for in a service manager” with a list of 14 options to select as well as the option to submit additional information - and we asked respondents to list any options that were applicable to them. Interestingly, and very much in line with Frank’s comments, the most common response was leadership capability in which 86% of respondents stated was a key attribute they sought within their service managers. This in itself is a particularly intriguing insight given that as Frank alluded to, leadership capabilities may not be particularly evident based on past performance if organisations are promoting from within and selecting their new service managers from a pool of their highest performing field engineers. This is not to say that they won’t necessarily exist within that pool, however, the skill set of strong leadership is as we have mentioned in the introduction a different skill set to what makes an excellent field service engineer. "The most common response was leadership capability in which 86% of respondents stated was a key attribute they sought within their service managers..."
Yet it seems indeed that leadership is absolutely viewed as pivotal within the role of service management today - something that is surely a reflection on the strategic importance of service delivery as a growth driver that Frank refers to. 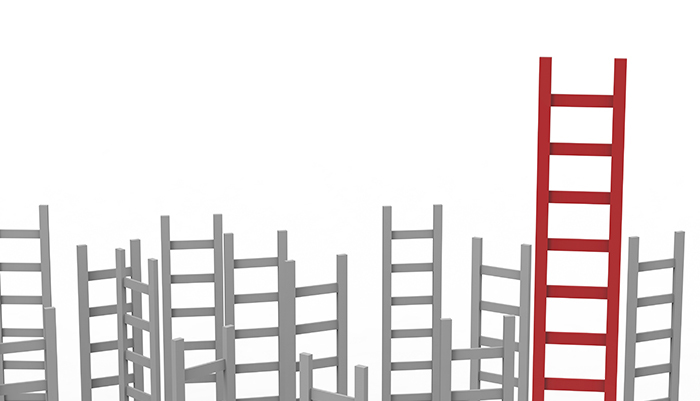 However, whilst the research findings reveal that whilst leadership skills are the most commonly sought after trait when recruiting service managers, it seems that many service organisations continue to seek out similar attributes within their service managers as those that are often highly valued within field service engineers and technicians. Specifically, field service organisations were commonly looking for potential service managers to show technical knowledge and application (77%) and be good problem solvers (50%) both key traits often sought after in field service engineers and technicians. Additionally, both an ability to fight fires and demonstrated performance delivery were both identified as key traits by just under a third (30%) of field service companies look for when recruiting new service managers - again highlighting how the roles of service managers are seen as being a linear progression from field-based roles. However, given that this number is relatively low, it could also be argued that this could indeed be indicative of a changing tide and that this is part of the evolution which Frank described as service becomes a strategic growth drier rather than merely a cost centre. Yet, when we look for the skills and attributes that are more firmly in line with what Frank describes as business management skills, again the data sits very much in line with his hypothesis, that perhaps not enough service organisations are showing the levels of ambition that one might expect given the large shift towards service as a profit centre we have seen in recent years. "A third of companies (33%) who stated that a good head for business is something they look for in a service manager, whilst slightly more (40%) stated that an important trait they look for in service managers is for them to be analytical and metric driven..."
In fact, again it is a third of companies (33%) who stated that a good head for business is something they look for in a service manager, whilst slightly more (40%) stated that an important trait they look for in service managers is for them to be analytical and metric driven - another attribute that is perhaps more aligned to business management than the traditional requirements of service management. What these findings to appear to reveal is that we do seem to be in the midst of an evolution within the role of the service manager, with some companies still leaning towards selecting the best performers within their field service teams, whilst others are adopting a slightly more ambitious approach to selecting their service management personnel in looking for traits that are more aligned with the strategic business aspects of the role. There are of course merits in both approaches, as Frank points out, however, there are also a number of traits that are fundamental to being able to ensure that field service operations are delivered optimally and this was also evident in the research findings. One big attribute that was commonly cited as important for field service companies to seek within their service managers was a customer-centric outlook - which was, in fact, the second most frequently cited of all the options within the survey with 80% of companies stating this is something they look for within a potential service manager. Alongside this, a large percentage of companies felt that potential candidates for their vacant service manager roles should ideally have a good operational understanding, which two thirds (66%) cited as well as a good rapport with their service engineers which over half (55%) cited. Whilst both of these latter two attributes could, of course, be developed by an external candidate these are both areas where an internal recruit would certainly have an advantage. So, based on the research findings around the desired attributes of service managers, there remains a strong case for hiring from within, yet at the same time we are certainly starting to see a developing appetite for and a gradual shift towards the more business focussed service management role that Frank describes. So does this mean that field service organisations are looking to recruit within and then develop the layers of business acumen required for managing a service business as a profit-generating entity? The research would appear to suggest that this may not yet be the case and the role remains to be seen as being both technical and supervisory rather than being focused on business performance and strategic thinking. Having asked our respondents ‘What training do you give to your service managers?’ we found out that indeed, leadership training was the most popular response being cited by just over half (53%) of respondents, whilst technical training was also cited by half (50%) of respondents. "Less than a quarter of our respondents (23%) stated that they gave their service managers any financial or business acumen training..."
In addition to these attributes ‘coach-the-coach’ style training and also ‘soft-skils’ were both cited by 30% of companies, is another attribute that fits more within a supervisory focused service manager role. In contrast to this, less than a quarter of our respondents (23%) stated that they gave their service managers any financial or business acumen training. This would certainly suggest that whilst aspirationally many companies may be beginning to see service as a driver for revenue growth, in reality, the majority of field service organisations still see the role of the service manager as being one firmly rooted in the operational side of the business. Of course, one answer for this could simply be that many organisations see the more business-focused aspects of service management as belonging within the realm of the service director, rather than the service manager - but that begs the question as to whether we are developing the necessary characteristics within our service managers to make the necessary step up to become highly effective service directors who can drive both a service operation and business growth forward simultaneously? Could it be that as field service delivery continues to becoming increasingly interwoven within business strategy - particularly as the trend towards servitization and outcome-based contracts become more prevalent that we are seeing demand outstrip supply in terms of service managers who are equally comfortable being operationally efficient, business savvy and who also have a natural proclivity to customer-centricity? "Over two thirds (70%) of respondents stating that they didn’t feel there were enough candidates to meet demand for service managers roles..."
The research would again certainly add weight to this argument with over two thirds (70%) of respondents stating that they didn’t feel there were enough candidates to meet demand for service managers roles given the fact that field service has become increasingly important operation within many companies wider business strategies. This lack of suitable candidates again asserts the validity and importance of being able to recruit from within - in essence, to be able to grow your own service management leaders. However, if companies are to do so and to do so effectively, then it would appear that many need to rethink how they approach their management level training programs to incorporate more focus on the business aspects if they are to truly align the role of service manager, with the premise of service as a profit centre. Yet it is by no means an impossible task and the fact that just under half (44%) of the field service organisations who participated in the research involve their service directors within the recruitment process would suggest that these concepts may well filter down over time. 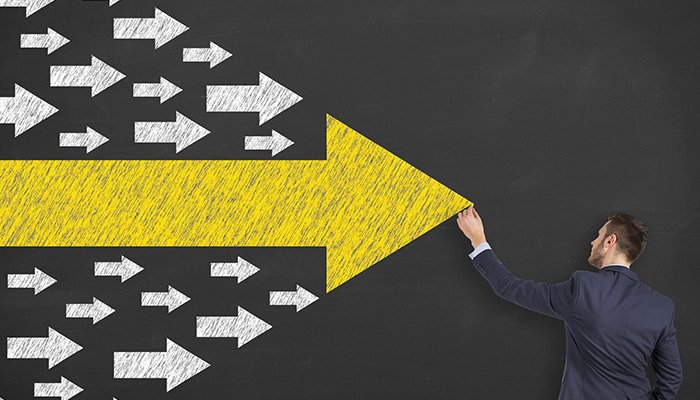 It seems that there is a small portion of field service organisations who are one step ahead of the pack in terms of developing their service managers to not only be able to deliver operationally but also strategically. The question now must be how long before the rest catch up? how long before the rest catch up? 80% of field service companies believe their Service Managers must have a customer-centric outlook. 23% of field service companies provide their Service Managers with business or financial acumen training. The research was conducted over a six week period reaching out to fieldservicenews.com subscribers as well as the respective audiences of our partners inviting recipients to complete a detailed online survey. In total there were 131 respondents. In addition to this Field Service News Editor-in-Chief conducted a live polling session at the recent Field Service Connect event, held at the Belfry, UK which was hosted by WBR at which an additional 33 senior field service executives were present bringing the total respondent level to 164 field service professionals - a sufficiently large enough response base to provide a fairly robust snapshot of the current trends around recruitment and development amongst field service organisations today. The respondents represented a diverse range of industries including; Heavy Manufacturing, Healthcare, Consumer Electronics, Power Generation and Facilities Management. There were respondents from all across the globe including the UK, Belgium, Germany, UAE, Canada, Spain and the USA and there were responses from companies of varying sizes ranging from those with less than 10 engineers through to those with over 800 engineers. 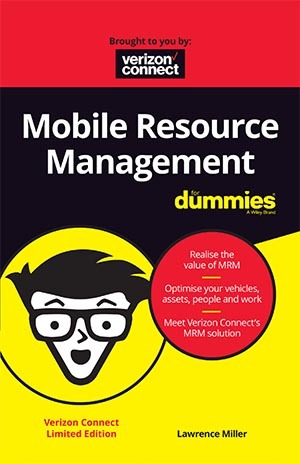 As we continue our new series we are delighted to bring you a selection of articles taken from the recently released and highly informative, limited edition of Mobile Resource Management for Dummies, which is presented by Verizon Connect. Is Mobile Resource Management a key Topic for you?! Dive straight into the full eBook by hitting the button below! What Is Mobile Resource Management? The traditional approach to handling business growth is to focus on meeting increased demand – more workers, more vehicles and more warehouses. This can also mean an increase in administrative and management staff and higher overheads. This linear strategy is fine while the work is there, but in a market filled with increased competition and fluctuating customer demand, committing to fixed expenses can leave a company exposed if business stops booming. Clearly, saying no to new business is not an option. Fortunately, there is another solution. Mobile resource management (MRM), or enterprise fleet management technology, helps mobile workforces and the people who manage them to get smarter about how they use their assets. "Mobile resource management (MRM), or enterprise fleet management technology, helps mobile workforces and the people who manage them to get smarter about how they use their assets..."
This allows them to improve productivity while saving money by avoiding the financial risk of prematurely acquiring additional employees, vehicles or equipment. MRM refers to a broad suite of hardware and software technology solutions that are used to monitor, track and optimise mobile assets, from tools and heavy machinery to vehicle fleets, employees and more. MRM is focused on making the best use of a business’s existing assets – vehicles, equipment and employees – to maximise its capacity; connecting the vehicle, the people and the work. Most businesses have untapped potential that could be converted into a revenue-generating activity, but they don’t know it exists, or how to leverage it. You want to find your underutilised or inefficient assets and/or staff, and this can only be highlighted by monitoring them. That’s where MRM technology comes in. It monitors each of your assets and allows an owner or appropriate stakeholder to see what, where and when resources are being used. Using the data supplied by location-based technologies fitted to the vehicle or equipment (including phones and tablets), an MRM solution can easily show a range of productivity metrics. When vehicles arrive at and/or leave a worksite or customer location. If the vehicle is anywhere other than where it should be. When equipment is being used (engine on). Which vehicles or assets have been sitting idle. Vehicle travel time (to determine time spent between jobs). Whether drivers are taking the quickest and most efficient routes. Modern MRM solutions increasingly leverage the ubiquitous connectivity, unlimited scale and low-cost advantages of the cloud (discussed in the previous article here). Telematics integrates vehicular technologies, road transportation and safety information, sensors, instrumentation, wireless communications and more. Telematics is sometimes referred to as ‘GPS (Global Positioning System) vehicle tracking’. However, that doesn’t begin to cover the breadth of capabilities under the telematics umbrella. "Aside from simply tracking vehicle location, a robust web-based telematics solution offers customisable reports, near real-time vehicle and driver alerts, vehicle health, dashboards, custom map overlays, geo-fences and other tools to help companies manage and optimise fleet operations..."
Aside from simply tracking vehicle location, a robust web-based telematics solution offers customisable reports, near real-time vehicle and driver alerts, vehicle health, dashboards, custom map overlays, geo-fences and other tools to help companies manage and optimise fleet operations. Speeding – According to Commercial Fleet, a van driving at 80 mph uses 20 per cent more fuel than one driven at 70. That adds up quickly when you multiply that by any size fleet over the course of the year. Idling – Unproductive idling is another fuel drain. For example, Figure 2-1 shows that the average yearly idling cost for a fleet of just 15 Transit vans is more than £11,000. Vehicle maintenance – It may not be as obvious as speeding and idling when it comes to wasting fuel, but proper vehicle maintenance plays a big role in fuel efficiency. Proper maintenance, including proactively addressing diagnostic trouble codes (DTCs) and maintenance alerts, as well as maintaining proper fleet operational levels, help to reduce costly downtime. Tyre pressure – According to the UK’s Department for Transport, underinflated tyres lower fuel. For example, four tyres that are just 25 per cent underinflated increase fuel consumption by about 0.2 per cent. Additionally, properly inflated tyres are safer and last longer. Unauthorised use – Unauthorised vehicle use equals unauthorised fuel use. Corporate fuel cards can be tied to specific vehicles via telematics to identify if a fuel card has been used without an accompanying work vehicle. Also note the fuel capacity of your vehicles, in case an employee purchases 45 litres of fuel for a company vehicle that only has a 40-litre capacity tank! Route optimisation – Are drivers taking the most efficient routes throughout the day? Added miles burn fuel and put unnecessary wear and tear on the vehicle itself. Utilisation – Understanding how much of a vehicle’s time is engaged in productive work can provide valuable insight that may allow some companies to perform the same work in the same amount of time with fewer vehicles on the road – which means less fuel use. 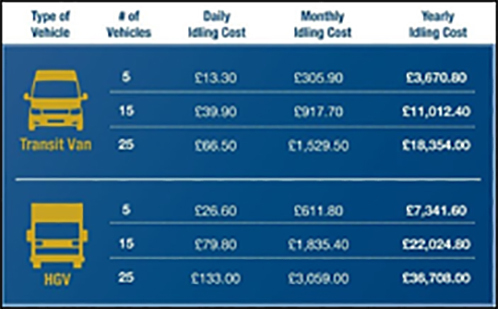 FIGURE 2-1: Average idling costs for Transit van and HGV fleets (source: Fleetmatics). Any company that has a fleet of mobile workers considers the safety of their drivers and the public to be a top priority. Fleet vehicle accidents are costly on multiple levels – injury claims, repairs, employee morale, loss of productivity, company reputation and government interference, just to name a few. According to the UK’s Department of Transport, an accident claim can cost an employer over £23,000 in medical care, legal expenses, lost productivity and property damage. That cost can exceed £216,000 when someone is injured, or £1.8 million when a fatality occurs. "Two big contributors to accidents are maintenance issues and driving behaviour. A telematics solution can provide near real-time alerts on both vehicle maintenance issues as well as driving behaviour..."
Two big contributors to accidents are maintenance issues and driving behaviour. A telematics solution can provide near real-time alerts on both vehicle maintenance issues as well as driving behaviour. These alerts help to ensure that a vehicle is safe and roadworthy. And they provide business owners and fleet managers with solid data on driver performance that helps them better coach that driver to be safer on the road. According to a National Highway Safety Administration (NHSA) study in the US, speeding is a factor in nearly 23 per cent of all at-fault large truck crashes. The same agency also reports that a tyre 25 per cent below its recommended pressure is three times more likely to be involved in a crash. Telematics is also a natural companion for driver compliance factors – such as Hours of Service (HOS) – and can automate tracking processes, and help ensure that drivers are fresh and operating on proper/approved rest. Simply knowing the location of a vehicle can also improve employee safety. If a truck and its driver don’t return when expected, their location can be determined, and, if needed, assistance can be provided. Almost everything a telematics solution accomplishes leads back to productivity. One of the first things a supervisor will understand is the percentage of an employee’s day that is productive – are there inefficient in their day that can be improved upon? Better routing? If the vehicle spends a lot of time parked or idling, why is that? Telematics identifies symptoms that can be used to diagnose and correct a problem. Dispatchers can easily identify the nearest possible respondent to a call by vehicle type, driver capabilities, and tools and parts available on board, ensuring that the response is swift and efficient. The automation and incorporation of paperwork into mobile devices now allows records to be filed immediately during and upon completion of a job, eliminating countless hours of labour, filing and organising. Finally, the age of compliance is upon us – HOS, tachographs, and Driver Vehicle Inspection Reports (DVIR) are a fact of life for commercial fleet managers. The same mobile devices that allow communication and form automation can also be used to streamline compliance reporting, ensure expedient interaction with DOT authorities, and eliminate paperwork almost entirely from the process – all driving productivity. If a company has a large, decentralised mobile operation that is service- and/or delivery-based, a telematics solution can also take the entire fleet and plot out optimised routes that cut down on miles driven, wear and tear on a vehicle, fuel use and, most importantly, time. All working together to allow a fleet manager to accomplish more – for less. The two kinds of maintenance are: planned (scheduled/preventive) and unplanned (failure). The first can be managed. The second becomes a downtime event that sinks productivity, adds unexpected costs (repair and replacement) and stunts profitability because that asset and its driver are unable to work. It also has a downstream effect on everything from customer satisfaction to other vehicle/employee schedules. Luckily, the first can largely prevent the second. "Telematics automates the tracking of vehicle maintenance schedules and eliminates many of the old labour-intensive tracking processes..."
This also allows fleet managers to schedule planned maintenance activities at a time with the least impact on productive work. These systems can generally track any and all factors that have a direct impact on uptime and performance. From oil temperatures and fluid levels to tyre pressure and the presence of AdBlue in diesel, a telematics solution can help to diagnose a maintenance issue before it becomes a more expensive problem. Are companies adopting AR for field service? Technology is changing field service rapidly. In the not too distant future Smart Connected Products will be self-diagnosing; Maintenance will become, almost exclusively, predictive; Spare parts will be 3D printed; And humans will interact at a deeper level with machines through Augmented Reality and Digital Twins, whether the machine is in the same room or on the other side of the planet. The nature of the service business will shift from technical labour and logistics to knowledge management and exchange. Service delivery will change drastically as will the nature of competition and business models. "The nature of the service business will shift from technical labour and logistics to knowledge management and exchange. Service delivery will change drastically as will the nature of competition and business models..."
But if the “end-state” medium term can be discerned quite clearly, getting there poses significant challenges. So, at a Si2 Partners, we developed a series of survey-based management reports, to shine a spotlight into service businesses’ efforts to grasp the opportunities of digitization while dealing with the challenges. We then draw conclusions and recommend the best ways forward. 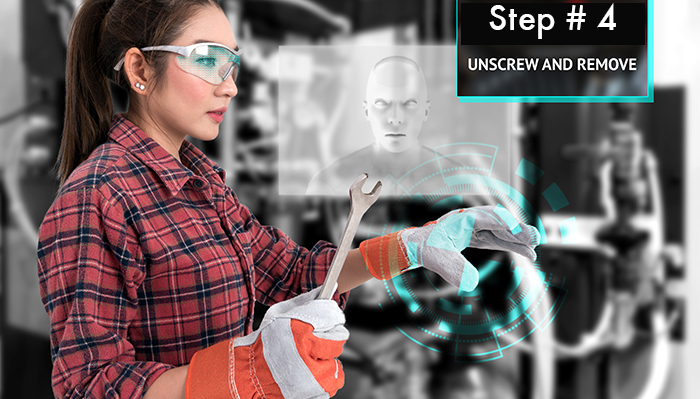 The first report on Augmented Reality is available now, the next report on Predictive Maintenance is due by the end of the year. The first public demonstration of AR was in 1998 during ESPN’s coverage of a football game: Generation and display of the yellow first down line. The line stayed fixed within the coordinates of the playing field. It was not physically present on the field and was visible only to the television audience. But from that simple application, only 15 years later, Gartner was predicting that companies would be increasing their profits by over $1 billion annually -by 2017- through the application of AR in their field service business. Things, of course, are not so simple. Reducing costs does not directly translate into increased profits. That depends on prices and we know that digitization tends to make them drop, sometimes to zero -think of what happened to chemical photography. But even if we only consider costs, AR is clearly important, in many ways transformational, technology with a potentially very powerful impact. So, are companies adopting AR for field service? Our survey showed that they are. Most expect significant cost savings and productivity improvements through AR, mainly in engineering time and travel cost -and, interestingly, smaller companies are at least as much engaged with the technology as larger ones: Upfront investment can be low, and it can be implemented quickly and stand-alone (at least initially). Importantly, it may help reduce pressure on scarce, highly qualified, and expensive engineering resources, while simultaneously improving the cost-effective support of remote customers (smaller companies are less likely to have extensive service networks). Overall, we found that while less than 1/3 of respondents already used AR, and, of those, the majority had introduced it over the past 12 months, another third planned to introduce it over the coming 12 months. This indicates an accelerating trend. Of course, for users, it has not been all smooth sailing. Challenges are numerous: For example, it turns out that connectivity at customer sites is a significant issue, which hampers the use of the technology. But technical problems are normal at this stage of introduction. Far more important are managerial challenges. For example, as always, one size does not fit all: The most commonly reported use case is field technicians receiving AR-based support by experienced engineers from a remote central hub. "Better applications for such cases may be pooling AR-based support, providing technical information through “knowledge-libraries”..."
This may help companies with large field service workforces (possibly with high turn-over rates or fewer qualifications) supporting standardized equipment. It is not much help to vendors of highly complex equipment whose field engineers are already highly experienced and qualified themselves. In fact, it may be even counter-productive, slowing things down or reducing acceptance. 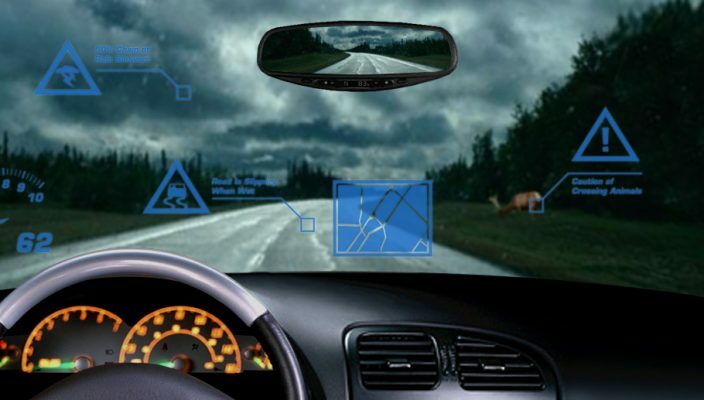 Better applications for such cases may be pooling AR-based support, providing technical information through “knowledge-libraries”, particularly on rarely encountered problems or legacy equipment, or integrating AR with the IoT, so that operational data can provide real-time context to engineers and support for diagnostics. However, such applications require investment in digital content, something that many AR users have often not considered, as well as a process of experimentation and development. Another finding is that following implementation of AR, many managements don’t take the necessary action to lock-in the AR benefits by pushing through change in the support and field service processes. For example, few companies eliminate technical manuals and drawings from a field engineer’s toolbox, delaying the necessary adjustments. And, while many companies market their AR capability to customers, few have developed AR-based offerings. Yet our survey shows that customers would welcome AR-based support if it would help to reduce costs and improve performance, notwithstanding issues of confidentiality or privacy. The process to integrate AR into a company’s mode of operations and to maximize its benefits will, as for any new technology, be arduous and bumpy. But the impact on costs and productivity is becoming clear. Though most don’t yet formally track it, 72% of our respondents said that AR is on par with or has exceeded expectations. 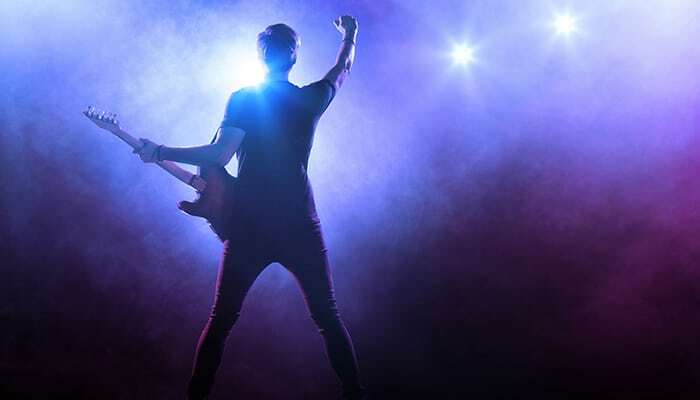 Previously on fieldservicenews.com we published an analysis of an exclusive research project run in partnership with Si2 Partners, WorkAmmo and Service People Matters where we revealed that 57% of field service organisations prefer to promote from within when appointing service managers. As field service operations continue to become an increasingly important part of revenue and customer engagement strategies for organisations of all sizes and in all verticals, it, of course, follows that those leading our field service teams are simultaneously becoming essential to the wider success of a business. In our previous analysis of our research into development and recruitment trends within field service organisations we revealed that currently just over half of field service organisations prefer to promote from within when seeking to fill field service management vacancies, which is largely how things have been done historically - it is a sure bet that a large percentage of the service directors reading this report will have started their career as a technician in the field and this background and experience certainly has its advantages. For a start when promoting someone from within they will, of course, have a much more intimate understanding of your organisation, your engineers’ workflows and perhaps most importantly your customer base. These are all factors that will help them hit the ground running in their new management role. "Sometimes the best engineers, no matter how conscientious and efficient they may be when working in the field, just can’t make the step up into management - running a team requires a very different skill set than keeping your clients’ assets running..."
Yet, there is, of course, a flip side. Sometimes the best engineers, no matter how conscientious and efficient they may be when working in the field, just can’t make the step up into management - running a team requires a very different skill set than keeping your clients’ assets running. “Of course, these companies will be looking for people with the leadership skills - but they may also have a preference for someone who also knows the business. "Service is becoming much, much more of a strategic growth driver..."
"Business acumen becomes far more important because when you start seeing service as a driver for growth you are no longer operating as a cost centre, you’re generating revenue and running a business..."
It is certainly an interesting topic for discussion and Frank raises many valid points, but is the fact that so many field service companies are still predominantly hiring from within indicative of field service companies erring on the side of caution, or is it perhaps the case that as with many other areas within field service we see patterns evolve at a slightly slower pace often due to the necessity of keeping what is invariably a mission-critical side of the business on relatively stable ground. To help us understand this better and to dig deeper into the thinking behind many field service companies approach to hiring and developing new service managers, we will focus in this second part of our research analysis on the key trends amongst service organisations in terms what we attribute are key in the next generation of service leadership and how companies are nurturing them. "After the services provider asks the user to “Take a Chance on Me”, it will need to, first, make sure that its new customer has a Peaceful Easy Feeling, and that it hasn’t spent a whole lot of Money for Nothing (or you could end up in Dire Straights)!" Further, whether the customer’s equipment is located in Allentown or Katmandu, the services provider must be sure that there Ain’t No Mountain High Enough to keep it away from delivering the services that have been promised. If you cannot cover all of the geographic areas where your customers’ (and prospects’) equipment is located, you may end up with an unhappy customer in Massachusetts, requiring your field techs to work weekends on Tulsa Time, finding a suitable contractor in Sweet Home Alabama, being stuck in Lodi (again), authorizing a costly flight to Kokomo, Going to California yourself – or even worse – having to deal with a Panic in Detroit! One way or the other, you’ll never want to hear one of your Colorado customers tell you to “Get Out of Denver”! Customers hate it when they call their services provider and get No Reply! There’s a Fine Line between being only casually responsive and treating your customers with a full measure of Respect – and you don’t want to cross that line the wrong way, otherwise, your customer will feel like “(I Can’t Get No) Satisfaction” and end up in Misery! However, for every services organization that actually “gets it”, there are probably a dozen or so more that don’t! That’s why it is so important to make sure you properly train – and arm – your field techs (i.e., with mobile tools and accompanying technology, etc.) with everything they need All Down the Line, so they can satisfy their customers consistently, and go home every day after their last call feeling Free as a Bird and ready to Rock and Roll All Nite! The event will run from 11.00 – 16.00 and include a light lunch. This session will provide insights from one of the most sophisticated buyers of services such as a availability contracts, as to how services are bought, and why the recently published British Standard ‘Through-life engineering services – Adding business value through a common framework – Guide’ (PAS280) is a must read for all professionals involved in servitisation of industrial businesses. Vanson Bourne recently carried out a research programme on behalf of ‘ServiceMax from GE Digital’ aimed at understanding on the importance of service data in managing assets. Mark Homer will share the results and the insights learned. Field Service News will be in attendance to report from the event and we hope to see you there also! Kris Oldland, Editor-in-Chief, Field Service News talks to nick Frank, Founding Partner, Si2 Partners, about some of the key findings of a recent research project recently undertaken by the two companies that explored emerging trends in the recruitment and development of both field service engineers as well as service managers across a wide range of industry verticals.